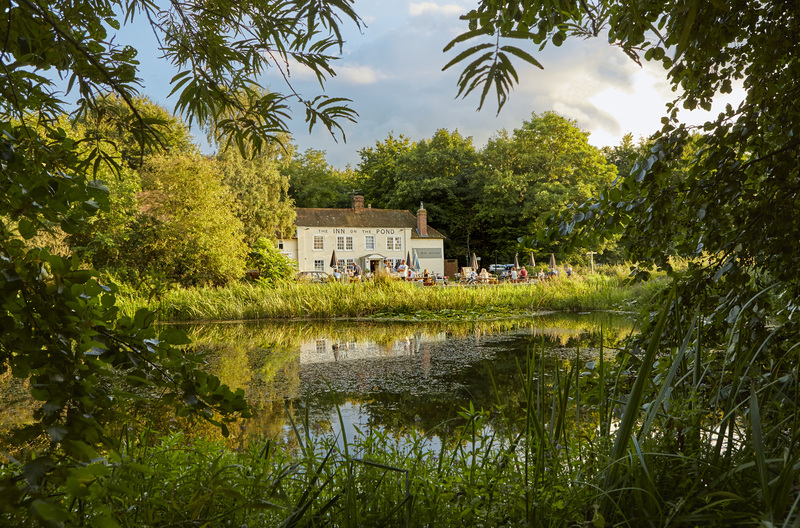 Renowned as a dining destination, the Inn on the Pond serves a diverse and delicious menu - home-made and using locally-sourced ingredients - which includes traditional pub classics alongside creative, elegant chef’s specials. There’s fresh fish and grill dishes for dinner, plus gourmet burgers and old favourites such as steak pie and hand-battered cod and chips. At lunch, we also serve a super selection of freshly prepared speciality sandwiches. The perfect place for families to eat together, we even have a special children’s menu. Meanwhile at the bar, we have distinctive cask ales in peak condition, along with a selection of international lagers and an extensive list of carefully sourced wines from family-owned vineyards across the world.